Received in good condition and fast delivery. 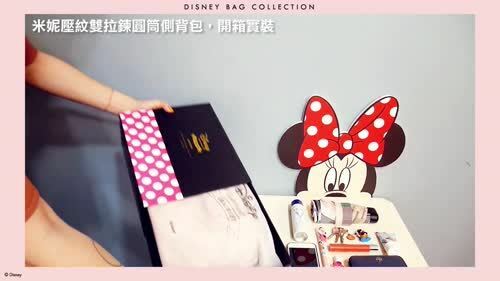 Thanks seller for adding in a Minnie Mouse pouch too! One thing that im a little sad about is that my wallet is too long and cannot fit in. The rest is just wonderful! Delivery was very fast and smooth transaction👍🏻 Was really happy how the shoes and bags turn out👍🏻 Will definitely support again! Very nice bag! Seller is very good! Received the items within 3working days as requested for urgent delivery! Just in time to give my friend as Christmas present! Good quality, but bag is smaller than expected. Fast delivery and good packaging. Love the box and definitely love the bag and its quality! Tempted to order more! Is the maximum length of the strap 118cm? What is the minimum length of the strap? When will Winnie the Pooh be restocked? We're sorry that there isn't any stock of Winnie the Pooh now, and we could hardly tell when will it be restocked again. However, we have other bags available and you could pick them up. You'll never stop loving them!